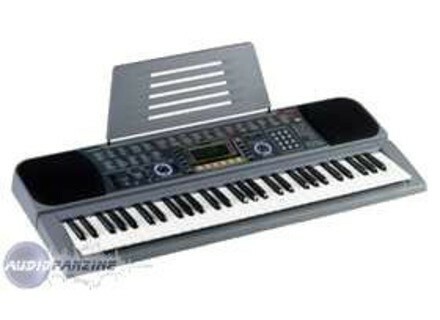 CTK-601, Keyboard Arranger from Casio. If, before you start to play a musical piece, you press the Rhythm selection key and choose one of the 99 Rhythms on your CTK-601 to enhance your keyboard fingerwork with Auto-Accompaniment, make it a habit always to press the Tone selection key as a final step after punching in the two-digit Rhythm number of your choice. This seemingly trivial final step will ensure that you can change your Tone selection in the course of playing the keyboard by swiftly poking in the three-digit Tone code for an "on-the-fly" change of instrument without inadvertently punching numbers instead into the Rhythm selector and running afoul of your virtual drummer. Keeping solidly in step with percussion and rhythm is a mark of the professional or progressing keyboard player. Knowing at all times that the Tone button is the currently active selector and ready for input will free you from confusion when you're being swept along with the cadence of your music. And it is far more likely that you will choose at times to swap in a different instrument for creative effect than to awkwardly change the somewhat complex Accompaniment Rhythm in mid-tune!